Wi’am: the Palestinian Conflict Transformation Center is a respected, longstanding KAIROS partner, committed to peace building and human rights. For many years, it has received support not only from Canadian church and church related groups, such as the United Church of Canada and Mennonite Central Committee, but also from significant non-governmental donors in the US and Europe, and from other governments. Wi’am in no way promotes hatred or anti-Semitism. 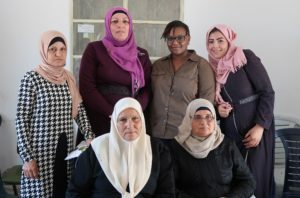 The funding currently provided by KAIROS and Global Affairs Canada, through the Women, Peace and Security program is dedicated to psychosocial support for women in the West Bank, particularly those experiencing violence. The grassroots programs help women to learn about their rights, find support in one another, and become part of peace-making processes. This good work is already showing strong results.